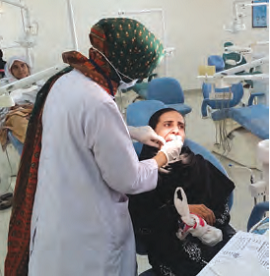 The Department of Operative Dentistry at Bahria University Medical and Dental College is highly motivated and focused on achieving the academic goals of the institute, through vigorous hands-on training, patient treatment, regular theoretical lessons, interactive discussions and research. Dr. Shama Asghar, Head of Department of Operative Dentistry, is a seasoned FCP Strained clinician. 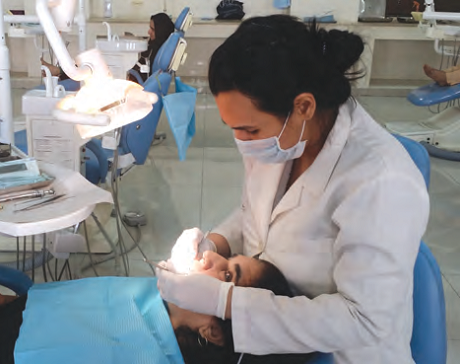 She, along with her Registrars and Lecturers, maintains a comprehensive learning environment for the students, ensuring that all fields of Operative Dentistry are studied, observed and practiced. 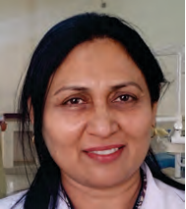 She ensures that the department is fully equipped with the latest facilities and that a regular learning schedule is maintained, making the department a place for students to learn new operative techniques and enjoy their learning experience at the same time. The field of Operative Dentistry involves the diagnosis, prevention and treatment of dental caries and the restoration of teeth which have undergone loss of tooth structure either through infection, disease or trauma. Restorative dentistry uses various materials to build up and restore part of lost tooth structure. Restoration of teeth not only involves restoring their function, but also to reestablish or improve their esthetics, to allow the patient to smile, talk, eat and laugh with confidence. The field of Endodontics involves treating teeth that have been infected with dental caries through to their pulp, which compromises the vitality of the tooth, potentially leading to more severe infection if left untreated. The root canals are cleared of their pulpal tissue and filled with inert material, thereafter allowing restoration of the previously infected tooth. Paedodontics specifically deals with primary and early permanent dentition in young children, treating infected primary teeth or newly erupted permanent teeth, in order to prevent further damage to unerupted permanent teeth as the child grows. It not only involves treating dental caries, but also devising comprehensive treatment plans for children who present with various dental anomalies and require intervention to allow a healthy and stable permanent dentition.